1 Package of 50 Turquoise Placemats. Disposable non-laminated Paper Placemats for decorative use are a great way to add color to tables, serving trays and buffet. These food safe place mats can also be used as a creative alternative to traditional doilies. Mix and match from our full line of vibrant colors, textures and edges. 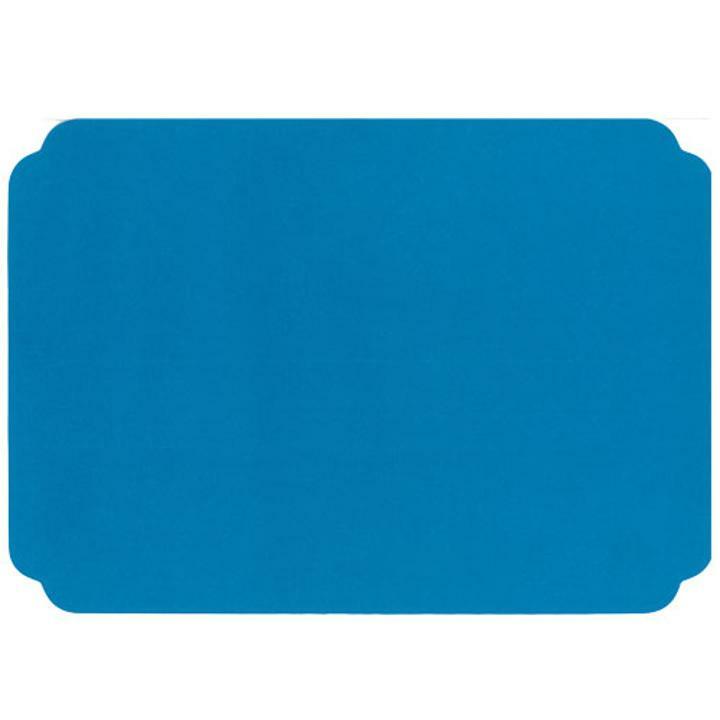 These quality turquoise placemats are for one time use. They can be disposed easily and are not intended for reuse. L: 10.0 in. W: 14.0 in. H: 0.5 in.